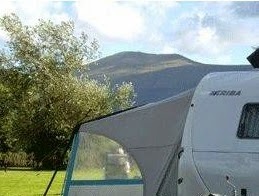 Ballinacourty House Caravan and Camping Park is a quiet, unique, family run park in the beautiful Glen of Aherlow. 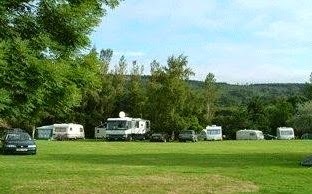 Established in 1979 the camping park is situated in the grounds of an 18th Century Stable complex close to the forest edge. Located off the road, surrounded by old stonewalls it is not overlooked affording our guests with wonderful views of the surrounding lush country valley. e offer 50 pitches in total, 27 hardstands and 23 grass pitches. The subtle landscaping of the camping park blends with the surrounding natural environment where clusters of trees and shrubs divide small groups of pitches. We have 6 amp electric points for most hardstands and a limited number of tent pitches. A simple south facing layout offers visitors wonderful views of the Galtee Mountains, Irelands largest inland mountain range. The woods are just outside our door perfect for dog walking. e accept tents, caravans and motorhomes (up to 8m in length). Our camping park is strictly touring there are no mobile homes in the park. Our central location means that we offer the perfect touring base for touring the whole of the South of Ireland.